Mohamed Salah has had a lot on his plate recently, but he answered the abuse and his critics with a Goal of the Season contender in Sunday’s win over Chelsea at Anfield. But it seems like Shay Given clearly had something to chew over too. 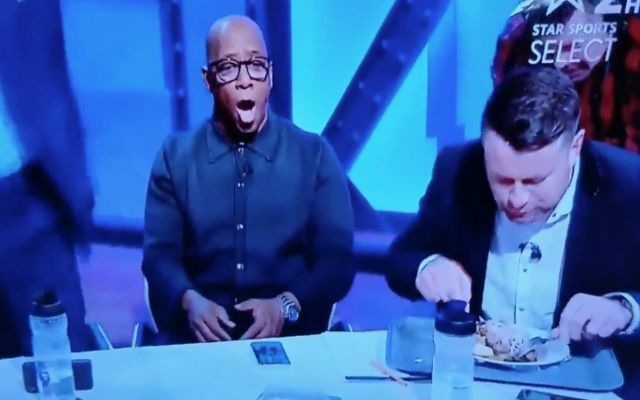 While Salah was firing in that 25-yard rocket to put us ahead at 2-0, the Irishman – on punditry duty for Star Sports – was filmed finishing off his steak dinner as Ian Wright and the rest of the team were celebrating the Egyptian’s moment of brilliance. Salah is never one to bite off more than he can chew, but it looks like Given has been left with a bit of egg on his face.